I guess I was in a pouch mood because I made 4 more today! I used Keyka Lou's pattern (which are on sale!). I intended to keep of the Echino camera ones, but now I kinda like the Mendocino mermaid one! I've listed two in my etsy shop and I'll list a third once I decide which one I want to keep! This is an ace pattern huh? I made these for each of my bridesmaids last year and filled with a wedding day survival kit (panadol, bandaids,lip gloss etc). They were the perfect size! I love your Mendochino one too! Your swap partner won the jackpot - that pouch is BEYOND CUTE!!!!! I love it! Well done! 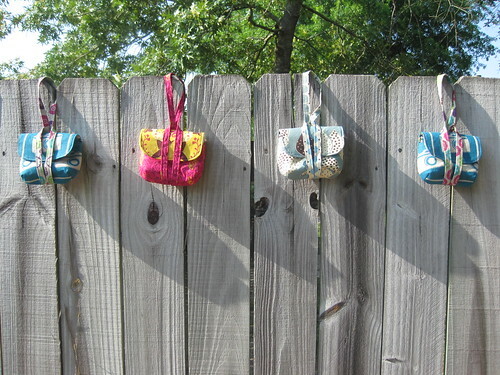 ok, last day of keyka lou sale...are these patterns just terrific? will i be really sorry if i dont buy some? will i make anything if i DO buy some??? So cute! I just bought the pattern today! I can't wait to make it! Even More Pouches and Swaps! I Baked Just For You!